It's hard to argue that hearing you have dementia is not deeply depressing. After all, most forms of dementia are progressive, fatal and, currently, untreatable. But Philadelphia aging experts Laura Gitlin and Nancy Hodgson see hope. "There's always something you can do," said Hodgson, chair of gerontology at the University of Pennsylvania School of Nursing. 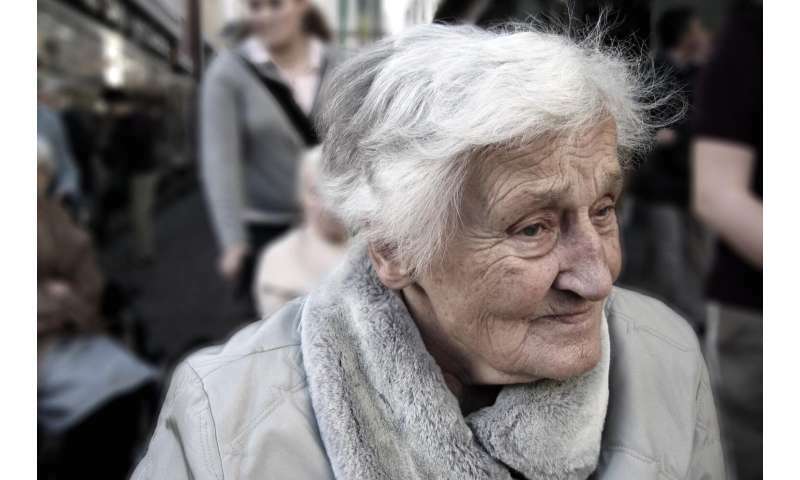 Gitlin, dean of the College of Nursing and Health Professions at Drexel University, said the lack of a medical cure doesn't mean that life for people with dementia and their caregivers can't be made better. She is appalled that primary-care doctors, who make most dementia diagnoses, are still telling patients there's nothing they can do for them. "That's just not acceptable," she said. The duo, who previously worked together at Thomas Jefferson and Johns Hopkins Universities and the former Philadelphia Geriatric Center, collaborated on a new book, "Better Living with Dementia." It advocates for a multidisciplinary approach to dementia care that emphasizes helping patients find meaningful activities they can do at any stage of the disease. Gitlin and Hodgson say the book is meant for both professional and lay audiences, but the academic-press price tag—online it starts at $76—will likely deter many family caregivers. Broadly, it calls for thinking in a systemic way about how professionals, family caregivers, and society can support people with dementia—and caregivers—in their homes and communities. Hodgson said that medical professionals are "typically very deficit-focused." They look for weaknesses that can be fixed. Given the lack of treatments for dementia, she said, it makes more sense to find "preserved strengths" and help patients use them as long as possible. Strategies that focus on using strengths to create meaningful activities can decrease social isolation, agitation, and boredom, Gitlin said. They work better than any drug now available. "There is no drug for boredom," she said. "There is no drug for resisting care." While they sympathize about the time pressures many doctors face, Gitlin and Hodgson said newly diagnosed patients and their families need much better education than they're getting about dementia, an umbrella term for several types of progressive cognitive decline, including Alzheimer's disease. At the very least, they should be told how to contact the Alzheimer's Association, which has sound educational materials and support groups. Other organizations also support people with frontotemporal or Lewy body dementias. Yes, many people can easily search for these things online, but, Gitlin and Hodgson said, some elderly caregivers can't and many others don't. If caregivers don't understand the disease and how it progresses, they have an especially hard time understanding a loved one's behavior and responding appropriately. Gitlin suggests that caregivers who have the money—insurance likely won't cover this—hire a geriatric social worker to assess their needs and help with long-term planning. Families need to think about safety, who will provide care, and where their loved one with dementia will live as the illness worsens. Hodgson thinks families can also benefit from an evaluation by an occupational therapist who is specifically trained in cognitive function. Insurance might cover this if a doctor writes a prescription. This kind of therapist can help people know what someone with dementia can still do and what is no longer safe. Families often learn the hard way that someone with dementia should no longer be driving or using the stove. Guns should be locked and monitored, if not banished from the house. Gitlin said families find it very hard to get rid of guns when, say, a former police officer gets dementia. "People struggle with this because they feel it's a way of taking away a person's identity," she said. People with dementia often just sit around all day, Hodgson said. This is where an evaluation can help families create meaningful activities. They may seem time-consuming, Hodgson said, but they pay off in better behavior. Gitlin said an occupational therapist learned that an agitated man in an adult day center had been an accountant. The center workers gave him a desk and a spreadsheet. Then they gave him money from the previous day to count and sort. He began looking forward to helping out each day. Another therapist helped a family set up a desk for an architect with dementia. They asked him to design a room each day. Other people might enjoy putting a salad together even if they can no longer follow a recipe or safely chop vegetables. Gitlin said doctors need to stop saying there's nothing that can be done for dementia. "There's a lot you can do," she said, "and you can make life better."